The entire scope of the island of Cyprus is enriched with so much history, all that makes it the place it is today. It has hosted visits from so many cultures through the centuries, all of whom have left their influence in the food, the architecture, and the historical sites. 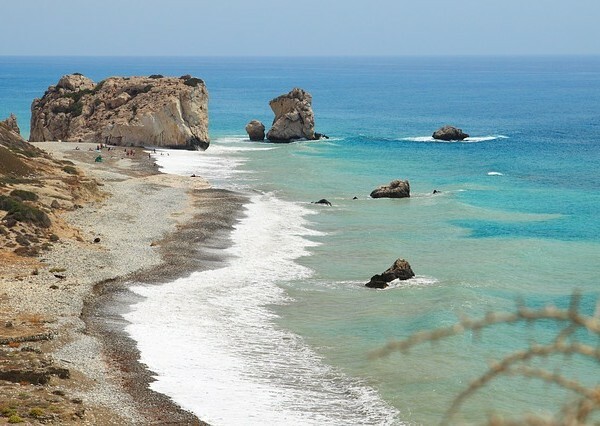 It is even rumored to be where Aphrodite emerged from the sea. The air was hot with the thick scent of tropical plants and flowers. The sound of crickets filled the air and the calls of cyprian wildlife could be heard in the distance. The Turkish north has a completely different feel to the south and both are equally worth the visit. Kyrenia is a small city on the northern coast that has a fantastic harbor where you can enjoy the Turkish cuisine and watch the boats sail by. Bellapais Abbey is a very picturesque old monastery with very easy access from Kyrenia. Old Nicosia contains Buyuk Han, an old caravanserai and unique spot to buy authentic arts and crafts. Indeed Arabahmet, the old Arab district, contains equally as enthralling traditional architecture makes the perfect wandering spot. Cyprus is lucky enough to be home to the beautiful pink flamingos for several months of the year as they migrate to enjoy the warm culture as we do. The Salt Lakes of Larnaca city are the perfect destination for those who want to see the gorgeous, pink colored birds. Although an incredibly rare occurrence, this year we were lucky enough to spot a black Flaming as well, which attracted many photographers, travellers, and of course nature lovers from far and wide to the city of Larnaca. The biggest Salt Lake can be found by the airport of Larnaca but a couple of others are found very close by. All of them host Flamingo and sight seeing access is very easy on a daily basis. The incredible food is always something former visitors of Cyprus will warn you about before your first visit. Anyone past travelers will surely launch into and elegant conversation of lightly salted fish, slowly cooked meats that melt the moment they touch your tongue. Not to mention the warm, buttery breads dipped in tzatziki, hummus and taramosalata. Still, any description cannot prepare you for how good the food is in reality. No one orders their own plate in Cyprus, meals are best spent covered by an array of sharing platters from an ever vast meze menu. Meat, fish or vegetables can be chosen from these platters that are always in endless supply. Even when you can’t eat another morsel, the plates just keep coming and coming. And they’re so tasty, you couldn’t possible say no!